7 potencias Africanos, 7 African Powers candle is worked with when we want to call upon any of the Orishas in times of need. 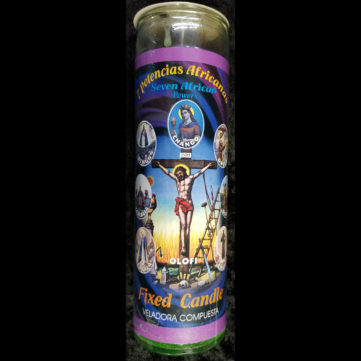 The image on the candle depicts each Orisha encircling a picture of crucified Jesus in the center. 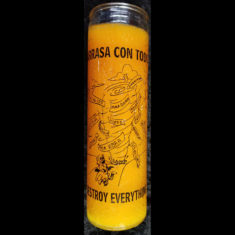 The phrase ‘Seven African Powers’ is found in various religions, including Santeria, Hoodoo, Candomble and Arara. 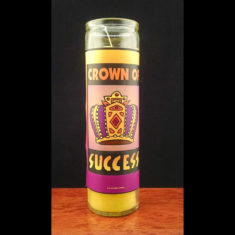 This candle represents the 7 orishas (Chango, Oshun, Yemaya, Obtala, Elegua, Oya, Ohun) and their powers combined as one. 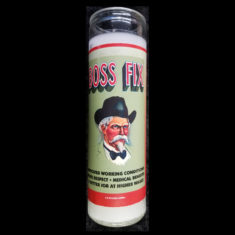 You may work with this candle to connect with ones ancestors, overcome obstacles, spiritual growth and to align self with true will. 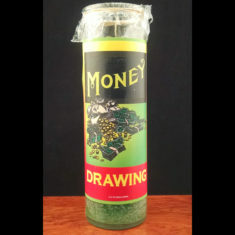 Green; 8″ tall; fixed with oils & herbs. Be the first to review “7 African Powers” Click here to cancel reply.